Cost to install an attic fan varies greatly by region (and even by zip code). Get free estimates from air-conditioning and heating contractors in your city. Cost to install an attic fan varies greatly by region (and even by zip code). How much does it cost to install an attic fan? 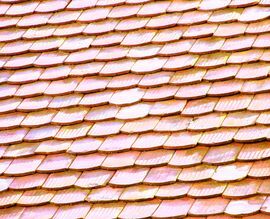 A superheated attic can cause your roof shingles to deteriorate more quickly. Heat transferred back down into your living area from your attic can raise your summer energy bills. Trapped moisture in the winter months can contribute to the growth of mold and mildew in your attic space. A warm attic can cause snow to melt on your roof in the winter, collecting at the edge of your roof in an ice dam, which can lead to leaks and water damage in your roof and attic. Installing an attic fan prevents these issues by helping to remove heat and moisture from your attic year round. A home with a well ventilated attic is more comfortable, has lower energy bills, and can help extend a roof’s longevity. There are several factors that can affect the cost of your attic fan, such as the size of your attic, the type of fan you install, and the placement of the fan. There are fans which run on wind power alone, as well as solar and electric-powered fans, which can all affect cost as well. Your attic fan should be sized to the square footage of your attic. For example, a 1,000 square foot attic needs to have a fan that can handle at least 460 cubic feet per minute of airflow. If your attic is poorly insulated, or you have problems with excessive moisture, you may need a larger fan to help account for the additional heat and humidity. Determining your attic fan size is done in part through the square footage, the height of the ceiling, the color of your roof, and the type of roof; more steeply sloped roofs can use smaller fans than larger fans. You can visit the Home Ventilating Institute to find out more precisely what size of fan you need for your attic. There are two basic types of fan installations: roof and gable. Roof fans install right through your roof, and are usually installed when you are having work done on the roof to get a good seal. Gable fans are installed in the wall of your attic and can take the place of an attic vent beneath the gable. Both come in several types. Remember that wind-powered fans will have no additional costs for wiring or electricity, while solar and electric fans will have additional labor costs. 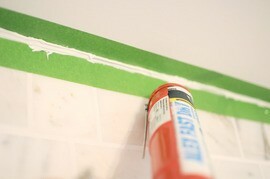 To seal up the edges of the fan or vent once it is installed. This is why roof vents are usually installed by roofers while work is being down on the roof. Passive, gable-mounted vents are able to be installed DIY without much difficulty. However, if you are mounting the vent or fan on your roof, or if you are installing an electric or solar-powered fan you will need to hire a professional installer to do the job. Roofers are the most qualified to install attic fans mounted on your roof line. Roofers charge between $45 and $75 per hour. If your fan is electric or solar powered, you will also need to hire an electrician to wire the fan to your home’s electric supply, or to properly mount and connect the solar panels. Electricians charge between $65 to $85 an hour. If you do not already have a space for the fan in your gables, you may also need to hire a carpenter to install the vent itself for around $70 an hour. You should count on at least two hours of work to install the fan, and at least one hour to wire it properly. While they are both installed in your attic, there are some major differences between whole house fans and attic fans. An attic fan’s job is to keep air circulating through your attic space, removing heat and humidity from the attic so that it does not become superheated. A whole house fan’s job is to cool your entire house by exchanging warm indoor air for cooler outdoor air. Whole house fans are generally larger and more costly - about $800 - both to purchase and to run. The less expensive models tend to be noisy, while the quieter versions often require you to use several in order to maximize the cooling, which in turn drives up the cost. Many people like to combine whole house fans with air conditioning units to help save on energy costs when it comes to cooling their homes. However, you would not want to run a whole house fan during the winter months, when an attic fan runs year round helping to prevent ice dams and moisture damage during the winter as well. Wire extension kit if you need to remotely mount a solar panel for $27. Automatic shutters for gable mount fans for $44. Dual-powered fan that allows for backup electricity on cloudy days for $318. Roof cap to protect passive or electric roof-mounted vents for $28. A manual or automatic thermostat 3, which can accurately measure the temperature in your attic and adjust your fan as needed, turning it on and off to at preset temperatures for approximately $27. A manual or automatic humidistat, which can accurately measure the humidity levels in your attic and adjust the fan as needed, turning it on and off at preset humidity levels for approximately $30. Unless you are an experienced roofer or electrician, most attic fans should not be installed DIY. If you are putting in a passive, gable-mounted vent, this can be done DIY, particularly if you are replacing an existing vent with a newer, wind-driven fan. Attic fans have few issues. 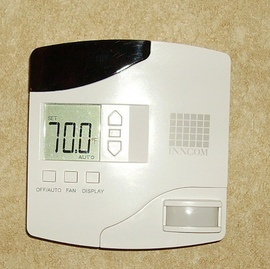 For solar and electric fans, larger versions may be noisy, particularly as the fan must be on at all times in order to be working properly. Solar fans have additional problems; if the solar panel becomes covered in snow or if there is a prolonged period of heavy cloud cover, the fan may not operate as it should, allowing heat to build up in your attic. Because the fans are just fans and do not rely on condensers or chemicals, there are no leaks or gasses, however, they are not as efficient at removing humidity from the air as an air conditioner is and should not be used for this purpose alone. A lot of people confuse attic fans with whole house fans, and think that they can take the place of air conditioning. An attic fan will not cool your home; it will only prevent your attic from becoming superheated in the summer, and from trapping warm, moist air in the winter, which can lead to ice dams and mildew growth. Because air conditioners are not run year round, you should still install attic ventilation even if you have central air conditioning installed in your home. How much does it cost to install an attic fan in my city? Cost to install an attic fan varies greatly by region (and even by zip code). To get free estimates from local contractors, please indicate yours.